As much as photography has become a hobby or interest for hundreds of millions of people around the world and a career for millions of professionals, it has also been a key scientific tool since the early 20th century. One of its most important applications has been the development of high-speed recording of the extremely fast activity of explosives, including nuclear detonations, other forms of supersonic motion and the workings of molecules and other micro-objects. High-speed photography has also become a creative tool for photographers who wish to capture lightning, water droplets, the dynamics of colliding objects or stop the action of a hummingbird or bee’s wings. High-speed photography first gained prominence during the late 19th century, when Eadweard Muybridge recorded a horse at full gallop during 1878, proving that all four feet were off the ground simultaneously. Then, Austrian physicist Peter Salcher captured the first photograph of a bullet moving at supersonic speed during 1886. The Germans first used high-speed motion pictures during 1916, just prior to the First World War, to study the science of weaponry. To assist in the development of telecommunications, Bell Telephone Laboratories purchased one of Eastman Kodak’s first high-speed cameras during the 1930s to understand the phenomenon of contact bounce in switches and relays. Kodak’s camera was capable of exposing 1,000 frames of 16mm film per second. Bell Labs and other companies improved Kodak’s design, resulting in a camera shooting 10,000 frames per second. By the early 1940s, the speed of high-speed cameras reached a theoretical one million frames per second (fps) with the invention of the rotating mirror camera. It was a critical instrument for scientists working on the Manhattan Project, the development of the first atomic bomb. Harold Edgerton may be the one person most responsible for introducing and generating interest in high-speed photography among photographers and the general public. As a professor of electrical engineering at the Massachusetts Institute of Technology, he pioneered, during the 1930s and 40s, the application of the stroboscope, until then a minor laboratory device, for scientific and commercial purposes, leading to the electronic flashes most photographers use today. Edgerton and his lifelong collaborator, photographer Gjon Mili, created such amazing images of what had been an invisible world to most of the public that their photographs appeared in Life Magazine, National Geographic and other widely read publications. Edgerton’s work with strobes inspired other scientists to use lasers as an even more precise method to stop motion. The development of high-speed photography during the first half of the 20th century led the Society of Motion Picture and Television Engineers to define it officially during 1948. A camera is considered high-speed when it can record a series of photographs at 128 fps or faster, or a minimum of 3 consecutive frames. The study and development of infrared photography occurred independent of and simultaneously with high-speed photography, until the two were combined to create high-speed infrared photography and the cameras to record such images. 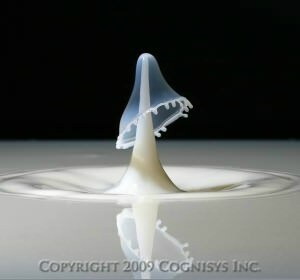 The invention of digital photography, and especially the CMOS sensor, was a great boost to modern high-speed photography. Not only is a CMOS sensor system less costly, but also it provides the photographer with greater choices of speed and resolution combinations. Some of today’s high-speed CMOS cameras are capable of thousands of frames per second at full resolution, with low-megapixel resolutions. Millions of frames per second are also possible with these specialized cameras, but the resolution is much less. 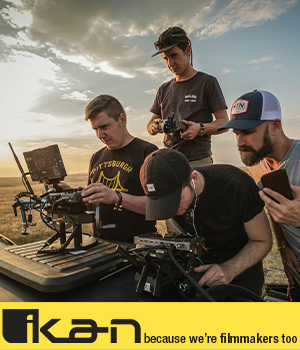 Although many of today’s digital cameras are capable of capturing multiple frames at various rates, the fastest frame rates are approximately 10 or 12 fps. That is not a high-speed photography rate, meaning today’s average hobbyist, or even professional, is unable to experience and enjoy this interesting, challenging and creative type of photography. To shoot with a true, high-speed camera, you would have to buy what is considered a scientific instrument, and only laboratories, universities and major industries can afford the price. 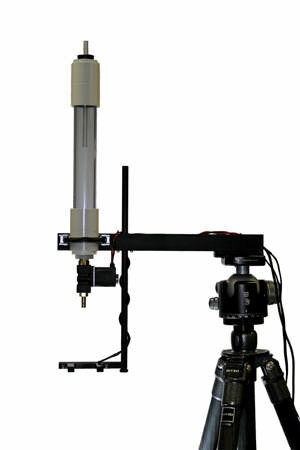 For example, Vision Research makes the Phantom Miro M series of high-speed cameras. The Phantom Miro M/LC320S achieves 1,380 fps at 1920x1200 resolution or more than 2,200 fps at 1152x1152 square resolution. Prices for this series of high-speed cameras start at approximately $26,000. That’s obviously not a price a hobbyist or professional would spend to be able to shoot an occasional high-speed photography images. Even a tenth of that price is ridiculous. In the tradition of the many engineers that came before them, two electronics engineers decided to quit their day jobs of more than 20 years designing electronics in the automotive/heavy-duty diesel industry and become entrepreneurs, starting Cognisys Inc. during 2008. Their quest was to apply their technical electronics knowledge and experience to develop some rather extraordinary, and affordable, products for digital photographers. The first of these is called StopShot. It is an electronic timing system to capture photos of action/movement that happens much faster than what the naked eye is able to see. It is compatible with many popular DSLR camera models and flash units, thus, not requiring an expensive high-speed camera. Whether it’s a collision of water droplets at a few thousandths of a second or the rapid movement of insect wings, the StopShot is truly an amazing photographic system. StopShot was designed for the kind of stop-action, high-speed photography that you would like to capture, but has been impossible until now. These include wildlife and insects, water drops, ballistics and lightning. 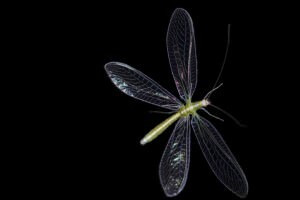 The challenge with fast and randomly moving wildlife, insects and birds is that you need a highly sensitive sensor device that will trigger the camera and flash at the precise moment to capture an astounding image. The StopShot does this with Cognisys’ Cross Beam Sensor Set that uses either infrared or laser transmitters. The Laser Cross Beam Sensor Set is an optional product. Both sets come with two sensor units that you place across from each other, and then the subject passes between them, interrupting the beam and directing StopShot to trigger your camera at the right moment. A laser beam is preferable for photographing insects and birds. Because the beam focuses to a very small diameter, you can record quite small insects, such as a fruit fly. The Laser Cross Beam Sensor Set is also the best choice for long distances. Cognisys has tested the set to just short of 33 feet (10m), but greater distances are certainly possible, depending upon the configuration of your camera, flash, etc. Both of the Cognisys cross beam sets operate in four different modes for wildlife and insects, which provide for more creative opportunities. These modes are A and B, A followed by B, B followed by A and A or B. To capture exciting images of projectiles and other types of high-speed studio photography, Cognisys’ Infrared Cross Beam Sensor Set is preferred. Not only does it produce a larger beam, but also it is invisible to your camera. With the StopShot technology and the use of the Infrared Cross Beam Sensor Set, it’s unnecessary to be a ballistics expert, calculating the velocity of the projectile or how far it will be from the sensor, and when. The StopShot device has a distance multiplier that makes the process so much easier. You’ll enjoy high-speed photography and be able to shoot more images in less time. Including lightning in your landscape, cityscape or nature photography creates a more spectacular image and, with the StopShot, it’s no longer a hit-or-miss process. Again, Lightning is detected with the standard beam sensor shipped with the beam kit, which, in tandem with StopShot, increases the likelihood you’ll capture the lightning strike at the best moment. Because StopShot works automatically, exposure times can be much shorter, which minimizes the amount of digital noise. 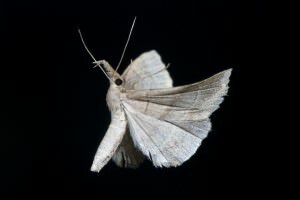 To photograph lighting, the StopShot system is placed in a slightly different configuration than capturing insects. The beam sensor’s receiver is independently mounted to a tripod and pointed toward the part of the sky where the lightning strikes are occurring. The StopShot device is connected to the remote shutter of your camera via the Trigger 1 port. 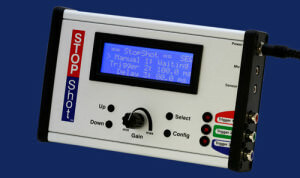 StopShot then controls the shooting process, as it reads the light from the lightning and triggers the shutter. 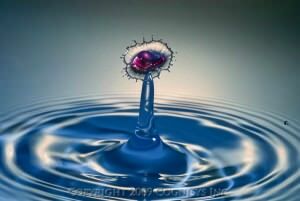 A water drop is another high-speed phenomenon that captures the imagination of many photographers. Cognisys makes a complete Water Drop Photography Kit with all the components you need, other than a camera, flash and a separate tripod on which to mount the kit. The Water Drop Photography Kit includes a mini-sensor set through which the water droplets pass, which then triggers the entire system. You can capture much more than a drop of water with StopShot. Colliding drops make for even more magical images; and the StopShot can be set, so multiple drops are released from the Water Valve at specific time intervals. The succeeding drop can be photographed colliding with the proceeding drop as it rebounds. The StopShot can also be configured with faster triggering times, so your camera takes a progression of pictures of the entire process of a drop falling, hitting a water surface, rebounding and colliding with the next drop. StopShot is so versatile that it will work with a microphone acting as a sound trigger to capture high-speed images. The system also allows you to set the sound sensitivity, so your camera shoots images when the sounds are very low. The Cognisys Online Store also includes many optional parts and accessories. Your feedback is important to thousands of PhotographyTalk.com fans and us. If this section is helpful, then please click the Like and Re-Tweet buttons at the top left of this article.